Remember strolling through the quaint streets of Murano on your last trip to Italy, and thinking just how magical the glass was? 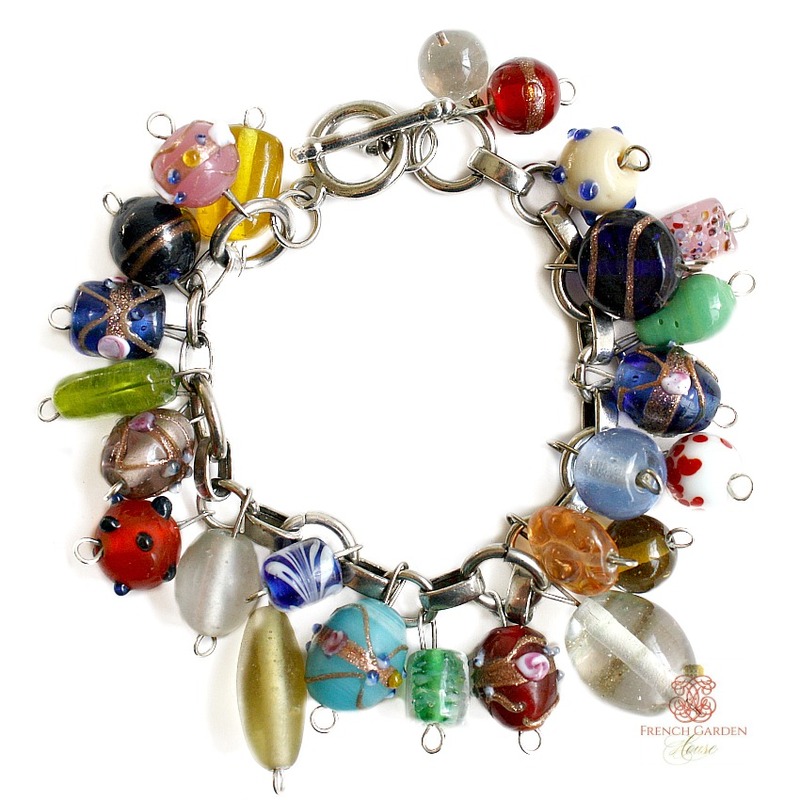 If you love hand made glass lamp beads, this beaded "charm" bracelet will bring great joy to your arm and your jewelry collection. Bright, beautiful colors, a rainbow of them, in fabulous decorative designs. Pink, clear, blue,, aqua, red, green, lavender, purple beads, some solid glass, some have applied gilt and little applied dot designs. Not all that old, silver tone bracelet closes with a toggle. Measures 7-7/8".